The ongoing debate around whether schools should be supplied with decodable readers will reach a critical point this weekend when Victoria holds an election that could result in funding of $2.8m towards the controversial resource. While supporters of decodable readers argue they allow children to practise their decoding skills in an enjoyable and motivating way, others claim the books can actually be harmful to children’s reading outcomes. Diane Snowball is a literacy consultant and author who has been working in education for 52 years, teaching students and training teachers. She is a past president and honorary life member of the Australian Literacy Educators Association (ALEA) and has recently been awarded the status of ALEA principal fellow. 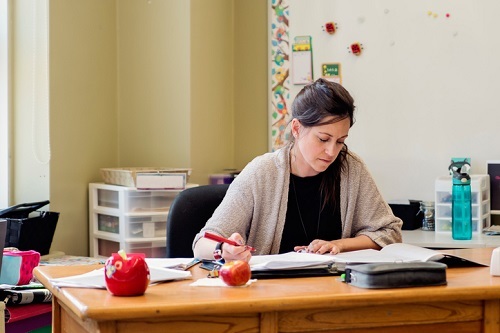 “The current debate about decodable readers is important because governments are making funding decisions about them and principals are wondering if they should buy them,” Snowball told The Educator. Snowball says that her 52 years of experience in successfully teaching students to read and helping thousands of teachers in the same goal, there has never been the need for decodable books. “Also there are no research studies that indicate decodable texts are necessary for children to learn to read. None,” she said. Snowball said it’s not enough to cite research about the improvement in accuracy and fluency because successful reading requires “much more than accurately saying words in a fluent manner”. “Reading is first and foremost the construction of meaning, drawing on knowledge of the content, the syntax of English language, the vocabulary and phonics,” Snowball said. Snowball said that while the teaching of phonics is important, she has found that with struggling readers it’s the only strategy they use to attempt an unfamiliar word. “It would actually be easier for them to use phonics if they thought about the meaning first so they have some idea about what that word could be – what would make sense?” she said. Beverley Dadds, principal of Mornington Park Primary School in Victoria, leads a school with outstanding results in the students’ reading, regardless of students’ disadvantages. This has been achieved by setting aside sufficient time every day for students to independently read quality literature while teachers confer with their students to find out their strengths and needs, which guides their teaching. “It is essential that we provide children with authentic rich literature all of the time. Since moving away from leveled books we have noticed a more positive attitude to reading, increased confidence and increased comprehension,” Dadds told The Educator. Dadds said the debate about decodable books is distracting for politicians and principals. “I would prefer for the focus to be about factors that are really influencing children’s reading, such as the children’s lack of vocabulary knowledge when they begin school,” she said.